Karl Kennel was born on 17 January 1914 at Pirmasens in Pfalz. He eschewed his career as a policeman in Ludwigshaven to join the Luftwaffe on 9 May 1935. He underwent military training at Schleissheim before learning to fly at Weimar and Oldenburgh. At the beginning of World War 2, Unteroffizier Kennel was serving with I./ZG 76 operating twin-engined Bf 110 fighters from Varel. His first victory was gained over a French aircraft over Dunkirk. During the French campaign he flew 48 missions in support of ground forces. He also added two further aerial victories to his tally. Kennel then flew with II./ZG 2 flying about 30 fighter-bomber missions against airfields and naval targets in southern England. In spring 1941 he participated in the invasion of the Balkans. On 1 June, he was promoted Leutnant. During the invasion of Russia, Kennel flew mainly ground-attack missions. During 1942, the unit re-equipped with Me 210 twin-engined fighter bombers.  On 16 March 1942, Kennel was awarded the Deutches Kreuz in Gold. In April 1942, Kennel was appointed Staffelkapitan Erg.-Zerstörer-Gruppe based at Deblin-Irena. He led the unit until September. In October 1942, Oberleutnant Kennel was appointed Staffelkapitän of 5./Sch.G 1 operating over the middle and southern areas of the Eastern front. The unit was equipped with the Fw 190 single-engined fighter-bomber. 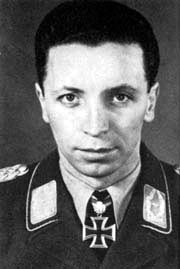 On 19 September 1943, Kennel was awarded the Ritterkreuz for 500 combat missions and 28 victories. In October 1943, Kennel was appointed Gruppenkommandeur of I./SG 152 based at Prossnitz (Prostejov CZ). By July 1944 the unit was based around Vienna. Kennel was appointed Gruppenkommandeur of II./SG 2 on 29 July 1944. During this time the unit provided fighter cover for Oberst Hans-Ulrich Rudel’s Panzerjagdstaffeln during the retreat across Rumania and Hungary. Hauptmann Kennel was awarded the Eichenlaub (Nr 666) on 25 November for 800 missions. He received promotion to Major on 30 January 1945. He flew his last combat mission of the war on the morning of 8 May.